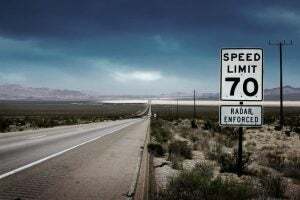 Speeding tickets can be a pain, but luckily, there’s something you can do about them. You can prevent them from ever happening by buying a radar detector. 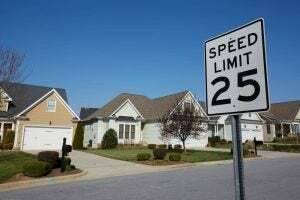 With its help, you can figure out the exact location of speed traps, often from miles away. 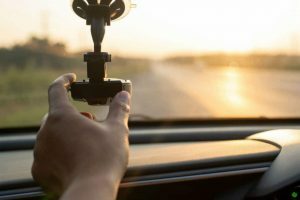 There is a large variety of radar detectors on the market, but not all of them can deliver the high quality that you’re looking for. In this product roundup article, we pitted three of the most popular models against each other to see which one comes out on top. The Cobra ESD7570 9-Band is a highly effective radar and laser detector that provides 360-degree detection. The device alerts you whenever it detects a signal. 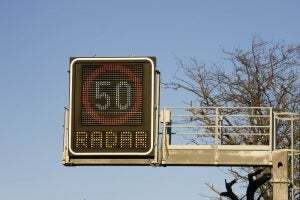 This gives you enough time to reduce your speed before the radar gun can measure it. The device features a simple on/off button along with a volume control on the right side of the front panel. The volume control works clockwise, so to control the sound, all you have to do is rotate the toggle. There’s a LED light on the screen that lets you know whether the device is turned on. The DIM button on the top right side of the device allows you to choose between three brightness options. There’s low, medium, and bright. Very straightforward, like most features on the Cobra ESD7570. By pushing the mute button – situated in the middle, at the top – you can turn off the sound alert function of the device. There are two main detection settings for the device, the self-explanatory highway and city modes. You can operate both using the same button located in the top left corner of the device. The default option is the highway mode. To change it, you have to push the button just The letter “c” on the display indicates that you have set the device to city mode. If you want to change it back, simply push the button again. This feature is highly recommended if you want to minimize the number of false alarms. This in-built, permanent feature allows the device to detect speed radars in a 360-degree radius. The diplay features numerous indicators, mostly shown in the form of letter combinations. “X/K” and “Ka’’ are for the radars, “L” means laser, and “V/S” represents the safety indicator. The anti-falsing circuitry helps the device weed out any non-relevant signals so they don’t mistakenly trigger the alarm system. 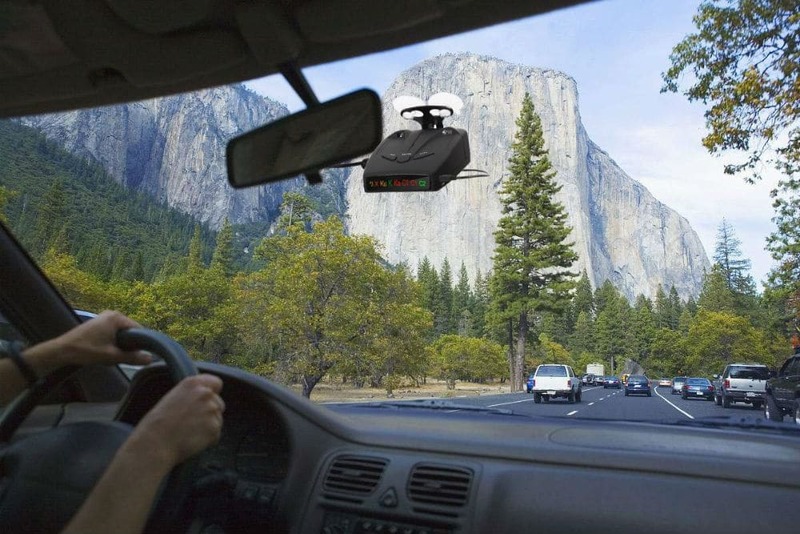 The Elenest high performance radar detector features a high-sensitivity platform for keen detection. It has a 280-led alphanumeric ultra-bright diplay that offers high visual performance. The Elenest detects police radars in a 360-degree radius. Whichever direction the police car comes from, this super-high sensitivity detector is dependable. If the system detects a radar, it sends you a voice alert. The device sweeps its surrounding areas at a high pace. The speed sensing auto mute feature reduces the number of false alarms by a significant margin. The device covers most frequencies, including the X-BAND: 10.525GHz ± 100MHz, with a detectable distance of 1500m to 2500m, the K-BAND: 24.150GHz ± 175MHz with a detectable distance of 1200m to 2500m, the Trfor iPod K-Band: 24.150GHz ± 175MHz, with a detectable distance of 250m to1200m, and the Ka-BAND: 34.700GHz ± 1300MHz, with a detectable distance of 800m to 1500m. The Cobra Electronics RAD250 warns drivers of impending police presence. Radar detectors are prone to triggering false alarms. Collision avoidance systems and other false sources can do that, and the anti-false circuitry helps eliminate these occurrences. This feature allows the tool to detect police presence quickly, especially radars and lasers. The device can detect all relevant signals, including the X, K, and Ka bandwidths, as well as laser and VG-2 sources. Each of these three products has a capable design that can identify relevant signals from large distances. The displays are also solid and provide similar features, more or less. If you buy a radar detector, it should be a product capable of weeding the false signals out of the results with great efficiency. The Elenest system’s speed sensing auto mute function is capable of that to a degree, but not at the same level as the other two designs. That is the main reason why the Elenest High Performance V15s Laser Detector doesn’t stack up against the two Cobras. The competition had to be decided between the Cobra ESD7570 9-Band Performance Radar/Laser Detector and the Cobra Electronics RAD250 Rad 250. The winner is the Cobra ESD7570 9-Band detector, for the simple fact that it was able to match the efficiency and feature-rich design of the RAD250. Both variants have the anti-falsing circuitry to reduce the number of false alarms. In addition to that, the ESD7570 has a number of other relevant features like the DIM button or easy operation controls, making it the winner of this radar detector comparison.